At this year’s Movement Festival in Detroit, Dubspot hosted a series of free workshops at YouthVille Detroit with Mike Huckaby, Justin James, Thomas Faulds, and Dubspot’s very own Matt Cellitti. In this video, Cellitti demonstrates new creative possibilities for working with audio recordings using Ableton Live 9′s audio-to-MIDI conversion tool. 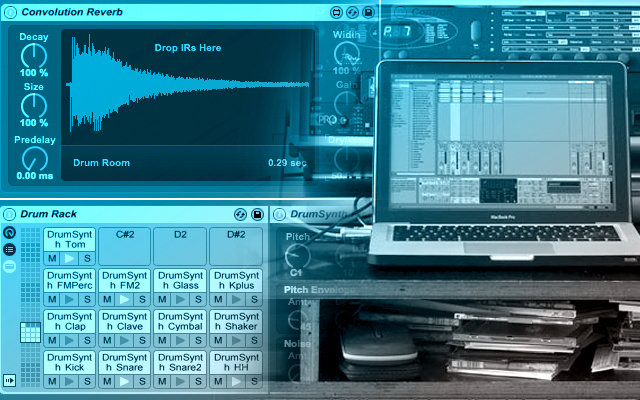 Also make sure to check out Matt’s previous video tutorial on this new Live 9 feature. Have you ever sat down in front of your gear with the best intentions to write music and nothing good comes out? Sure you have, it happens to all of us. What I like to do in these cases is step back and flip up my approach to music making. With the release of Ableton Live 9 and the new Audio To MIDI features, I find that converting old sounds to new MIDI always remedies any writer’s block I am experiencing. Dubspot is proud to present a new and improved Ableton Live program updated for Live 9, covering all of its latest features in a six-level, 48-class course on electronic music production. Music technology moves pretty fast, and here at Dubspot we’re committed to bringing you the best possible electronic music education and incorporating the latest cutting-edge technologies. As part of this commitment, it is with great pleasure that we are now announcing our all-new Ableton Live program at Dubspot, completely updated for Live 9! Read more about the new Live 9 curriculum here.